Walked to window ‘3’ opposite (vehicle entry/exit), stamped Carnet, didn’t want to see or collect vehicle paper filled in when entering Laos, didn't look at the vehicle registration documents and didn't inspect the vehicle at all. Drove to barrier just after border buildings, passports checked. Officer asked Andy directly “you pay money?” to which he replied “NO”… officer shrugged his shoulders and said “OK go”. Parked, went to ‘quarantine’ desk on left and filled out a basic medical questionnaire (ticking ‘no’ for every symptom!) Tourists ahead of us had a temperature gun pointed at them from a metre away in 38 degree heat and were given the all clear (we didn’t have this). Car was ‘disinfected for viruses’ using a spray hose half-heartedly on bits of the tyres, this cost $2. We were issued with a pointless piece of yellow paper each to say both us and the car were clean. Walked to the customs kiosk near the main building, customs officer flicked through the carnet and stamped in, no problems. No-one even checked to see we actually had a car, let alone checked the vehicle documents, the vehicle or it's contents. Directed to ‘visa service’ office behind the immigration office. Filled out an application form for visa-on-arrival, need one passport photograph. Visa was $35 each which we queried as had read it should be $30- officer got quite irate, said it was $35, then changed his story to $30 plus a $5 ‘stamp fee’. We insisted on a receipt which he eventually gave but refused to write the amount on it. We left as he was getting more defensive and angry but this is clearly a scam. Went to immigration office, completed arrival/departure card. Immigration officer kept arrival section and stamped passport with entry stamp, threw passports back through the window. Drove away from border and entered Cambodia. This border crossing was relatively fast and quiet, we crossed at 9am on a Sunday morning and there were no queues. It was quite unfriendly- corruption was present with different ‘fees’ being applied to different people. We paid for our car to be ‘disinfected’ but not for a personal medical check like other tourists. It may be worth getting an e-visa in advance just so you don’t have to deal with the visa service people and not give them the satisfaction of trying to rip tourists off. 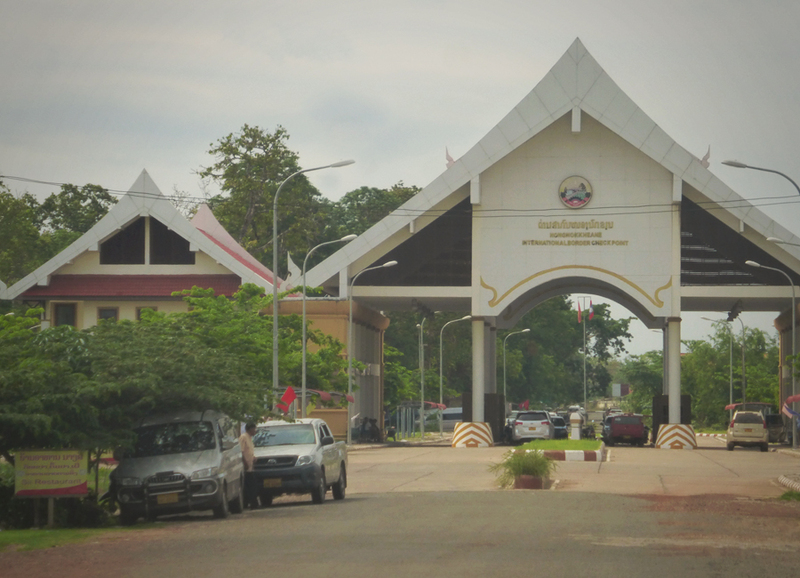 The Laos officer accepted a firm “no” to his blatant request for cash which worked but the Cambodian visa officials were more persistent and aggressive. 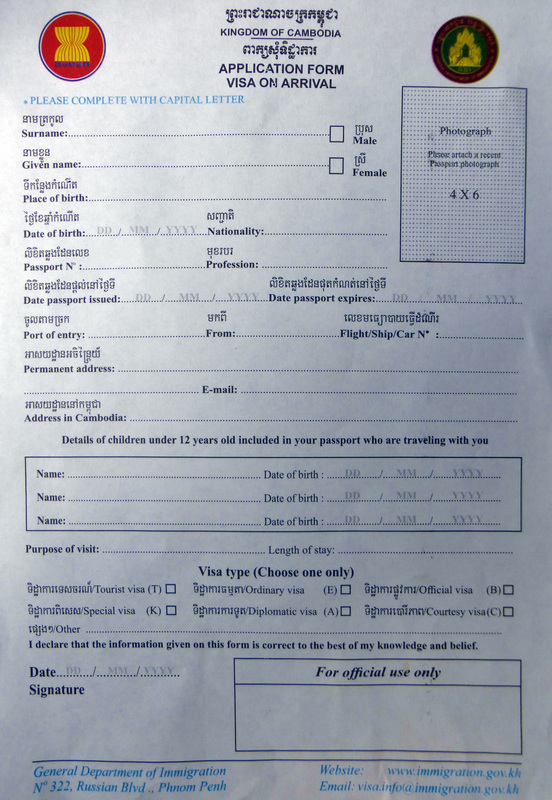 To find out about leaving Cambodia and entering Thailand... CLICK HERE.